Donkey Kong, a.k.a. 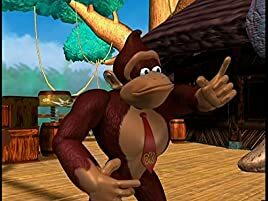 DK, is to be the next ruler of Congo Bongo. 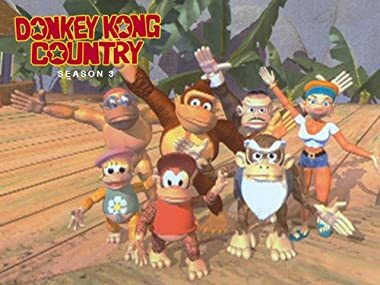 The cast includes Cranky Kong, keeper of the Crystal Coconut; and Candy, a true '90's woman! Everyone wants in on the act as Bluster gets ready to produce and direct his first feature film. While Bluster is in it for the money, Donkey Kong figures it's a good way to impress Candy. King K. Rool, well, he just wants to use those acting lessons he bought over the phone. Blaster's casting choices surprises everyone. Donkey Kong is cast as the villain and relies on "method acting". 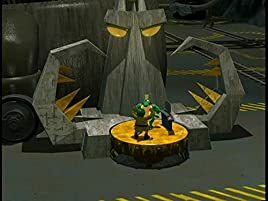 While cutting through the mine tunnel, Diddy overhears King K. Rool's plans to take over the island. Unfortunately, the symptoms for Kongo Bongo Gone Wrongo disease have begun and Diddy hasn't been vaccinated. 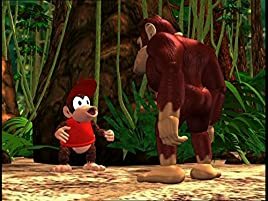 However, by the time he reaches Donkey Kong to warn him, he is at stage four of the disease and Diddy has lost his voice. It's a day like any other on the island while Donkey Kong and Diddy guard the Crystal Coconut. 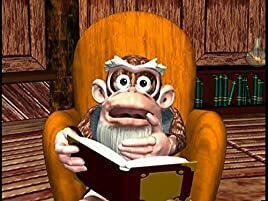 Diddy tries in vain to get past level three of his video game and Donkey Kong, weary from all the hard "work" settles down for a nap proclaiming that he wishes he could "sleep forever". Cranky is excited, having completed a life sized bronzed statue, a monument of Donkey Kong the Future Ruler. He is however tired of working his opposable thumbs to the bone while all Donkey Kong seems to do is loaf around, eating bananas. Only one day left till the annual soccer game against the lizards! 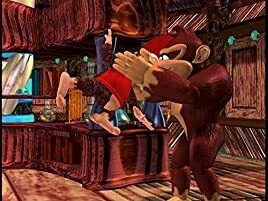 Donkey Kong and Diddy begin practicing their fancy footwork, Donkey Kong mastering his "big foot kick", with a coconut they find on the beach. Bluster's not so sure that Donkey Kong should automatically be the Future Ruler of Kongo Bongo and wants it put to a vote. The idol of Inka Dinka Doo thinks is a fine idea as well, and "Everyone is in the running, to make the outcome all the more stunning". And since "everyone" is in the running, King K. Rool throws his hat into the election ring. Cranky has just put the finishing touches on a Robot to help out in Bluster's Barrel Factory and brain transfer helmets. Both inventions can be very useful in the right hands, that is. 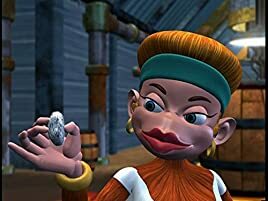 When King K.
What happens when you accidentally cross a balding, money-hungry, mommy's-boy monkey with a magical hair serum? You get Leo Luster, daddy-o! Leo is so cool he can put anybody in a trance, be it a mesmerized Candy or King K. Rool and his slimy henchmen. What's this? 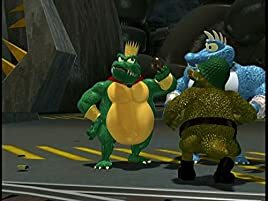 Pictures of Cranky and King K. Rool, together? Laughing? Hugging? Donkey Kong and Diddy are a little confused after finding theses "happy moments" from Cranky's youth. Seems he and King K. Rool were the best of friends. Pulling pranks and running amok on the island. 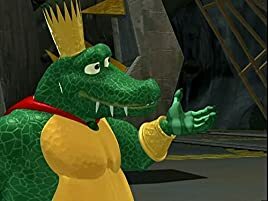 According to Cranky's story that all came to an end when King K. Rool cheated to win a contest. Donkey Kong is having one of those days. 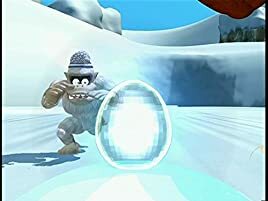 Seem like nothing he does is right - breaking Funky's surfboard, locking up the Crystal Coconut and losing the combinations, losing Diddy's lucky autographed ball. It's all going wrong. It's "All Fool's Day" on the Island of Kongo Bongo and it seems Cranky is out to get everybody. Collapsing chairs, whoopie cushions, catapulting cream pies', no ape is safe from his practical jokes. Donkey Kong, Diddy and Candy have had enough. It's time to fight fire with fire. However, the joke is still on them when they hand over the Crystal Coconut to King K.
Donkey Kong has been elected as Future Ruler of All Future Rulers! As Donkey Kong says, "It was an honor to just to be nominated". Of course this means he has to leave Kongo Bongo Island. Cranky and Diddy take this opportunity to throw Donkey Kong a huge farewell banquet. All of Donkey Kong's friends turn out to bid the big guy adieu.